NAPA, Calif. - Jan. 10, 2019 - PRLog -- California's Napa Valley has long been known for charitable generosity, hosting and producing critical fundraisers such as Auction Napa Valley, The V Foundation and Festival Napa Valley. Yet, most philanthropic events take place right there, within the boundaries of Napa County. 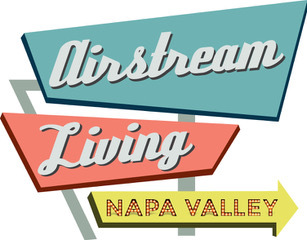 This year that has changed, as the new wine country experiential company Airstream Living Napa Valley has taken that inherent Napa concept of "giving back" and hit the road with an inaugural event, the "Give to Get Winter 2019 Tour" with stops in Palm Springs (through 1/12), Santa Barbara (1/12 – 16) and San Luis Obispo (1/16-19), California. Aten and Barstad, a Napa Valley dream team, are on a mission to do two things: have as many people as possible experience Airstream Living Napa Valley and mostly give back in a big way. The inaugural Airstream Living Napa Valley "Give to Get Winter 2019 Tour" will make their dreams, and well as the dreams of others less fortunate, come true. For more information visit http://www.AirstreamLivingNapaValley.com or contact David Aten, Founder at (707) 333-1122 or David@AirstreamLivingNapaValley.com or Guy Barstad, Co-Founder at (707) 363-3790 or Guy@AirstreamLivingNapaValley.com. Like Airstream Living Napa Valley on Facebook at http://www.facebook.com/airstreamlivingnapavalley and follow on Instagram @airstreamlivingnapavalley and Twitter @AirstreamNapa.